We offer a broad range of optimum quality Aromatic Candles to our valuable customers. Manufactured from high quality materials, these aroma candles offered by us are known for their long lasting smell. For ensuring a flawless range, these aroma candles undergo various quality assurance checks. Vanilla Candle, Scented, in Glass Jar Container with Specified Colours and Vignette. Keeping in mind ever-evolving requirements of our respected clients, we are offering a premium quality range of Aroma Floating Candle. Handmade home decorative scented candle with different designs and colors with very fine finish. Aromatic valentines thick candle full of hearts, feeling, emotion and soothing , sensual aroma of fresh rose petals. Brings on a deep feeling of true love and togetherness. We are leading manufacturer & supplier of wax candles with scanted perfume. The same design is a t-light scanted candle in a glass bowl. On this diwali gift this Scented Wax Candle to your family and friends and lighten up their world. Owing to our skilled team of professionals, we have emerged as a renowned firm of an assorted range of Floating Scented Candle. We are recognized as one of the reliable manufacturer of an exclusive range of Scented Candles that are widely demanded in the market due to the unmatched quality, elegant look and pleasant aromas. This Scented Candles are stringently tested on set quality standards to ensure less wax residue and high durability. 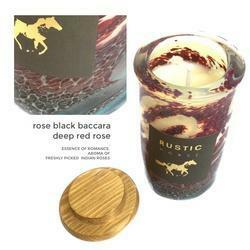 We offer a beguiling range of fragrances for Scented Candle. These aromatic compounds are used in the scented candles and remain constant throughout the burning time of the candle. These compounds can be availed in most demanded fragrances like lavender, jasmine, nag champa, rose, sandal, vanilla, strawberry and raspberry. 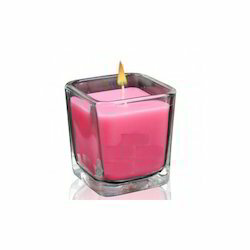 Keeping in mind the precise demands of clients, we offer a wide range of Aromatic Candle. These are one of the most preferred selections of clients owing to its unique design and eye-catching appearance. Demands of our candles are increasing day by owing to its reliability, rich aroma and exquisite lightening.